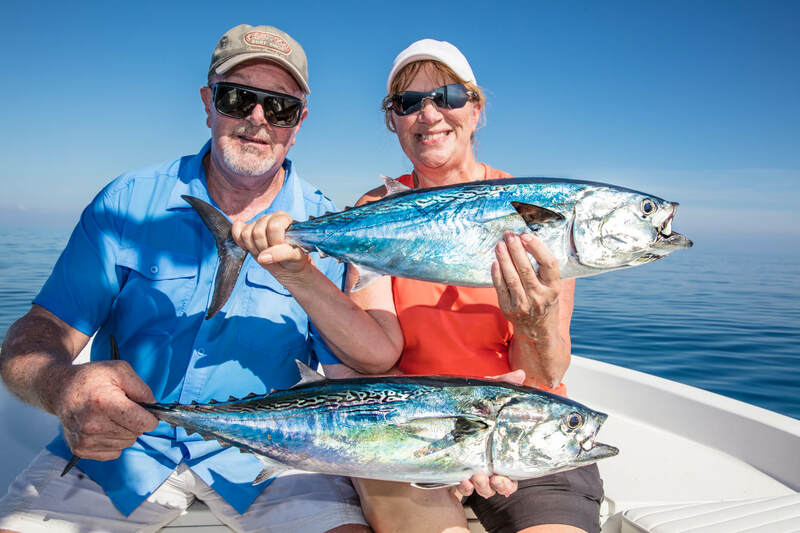 Enjoy a Port Canaveral Fishing charters trip with me, Captain Richard Bradley, it’s a great experience for both visiting and resident outdoor enthusiast. Port Canaveral is famous for its abundant sea life and sprawling continental shelf. The shoals jut out almost 35 miles east of Port Canaveral, spiraling down to the depths of the Gulf Stream. Then to the outer canyons some 100 miles or so beyond the Canaveral National Seashore. As the more adventurous push further offshore looking for Florida gamefish such as king mackerel, wahoo, mahi-mahi, and sailfish. We see pleasure has no boundaries here as there is something for everyone from novice to the expert angler. Port Canaveral deep sea fishing really does provide excitement everywhere! Private fishing charters in Port Canaveral are an exceptional way to go. Men are no longer the only ones typing in their smartphone “Cocoa Beach fishing charters,” the female’s interest is rapidly gaining ground. As Lagooner Fishing, we specialize in small, private fishing charters in Port Canaveral. Given that anglers get involved with fishing, you’ll learn and participate in gathering bait. Cast for fish and hone in on fishing tactics while reeling in “the big one” or the catch of a lifetime. Transition months are spring and fall. You’ll find dorado or mahi-mahi, sailfish, and other pelagics on the move. Eventually, these species make their way through Canaveral’s indigo blue waters as they migrate up and down the coastline. Summer months can be spectacular nearshore fishing off Cape Canaveral. 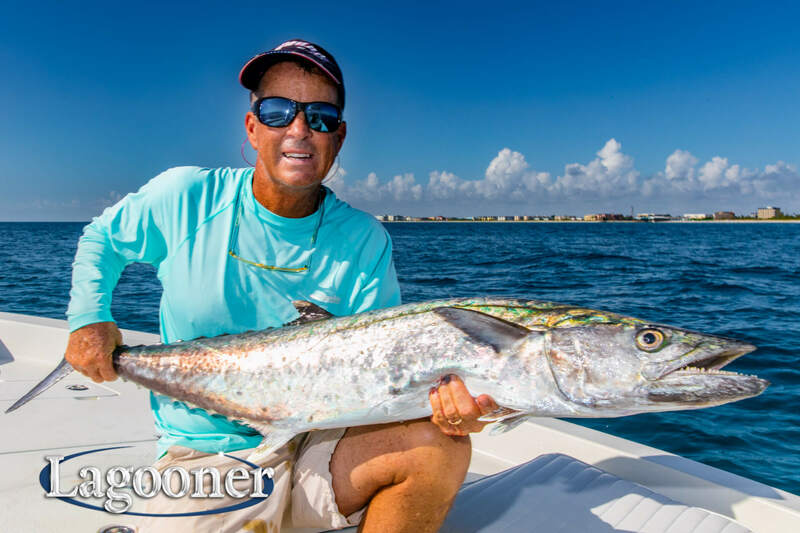 Targeting such fish as spawning king mackerel, cobia, tripletail, jack crevalle, and other species is a thrill for everyone. The cobia migration is second to none in Port Canaveral. Winter months can be challenging since the Atlantic Ocean can churn large swells, choppy seas, and wind preventing fishing charter boats from departing Port Canaveral’s safe harbor. Therefore, Port Canaveral fishing is most consistent during the milder months of summer. In the transition times, we are fishing near Orlando, and its pristine backcountry saltwater lagoons. Give us a call to experience the variety of fishing opportunities we have to offer. Having smaller-fast deep sea fishing boats, Lagooner Fishing can provide a more affordable fishing excursion. Less expensive to many of our competition. Don’t discount our service because it’s less costly than the others; we specialize in a smaller group of anglers. Our Port Canaveral deep sea fishing boat is capable of safely and comfortably taking our customers on private fishing charters. We only do Private Fishing Charters. We do not share charters with other parties. If you want to go party boat fishing, this is not the excursion for you. If you are looking for information about Port Canaveral fishing or fishing the inshore saltwater lagoons call us at (321) 868-4953. Captain Richard or Captain Gina will be more than happy to talk with you in detail about setting up a fishing trip.